Did You Know We Have a Calendar Just for Foodies? Did you know that you can keep track of all the food events going on about town with our Foodie calendar? As foodies, we're constantly on the prowl for yum food and insider foodie events. But how does one keep up with all that's happening in the super busy food scene in Hong Kong amidst an already super swamped personal schedule? We feel your pain and so we've gathered everything under a single calendar, which you can access by clicking "Events" below the Foodie logo on the top of the page. 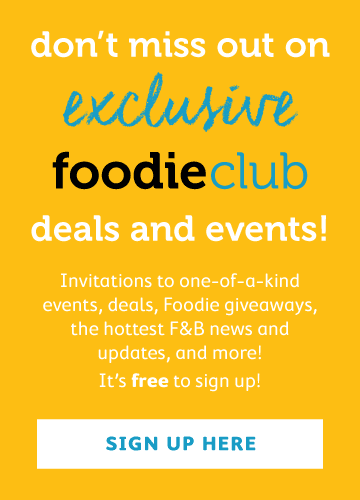 There you will find Foodie Club events, pop-ups, tastings, give-aways and pretty much anything food-related all displayed in a user-friendly manner.